FBI agent Nick Bracco can't stop a Kurdish terrorist from firing missiles at random homes across the country. The police can't stand watch over every household, so Bracco recruits his cousin Tommy to help track down this terrorist. Tommy is in the Mafia. Oh yeah, it gets messy fast. October 1942 - The United States and the Empire of Japan are at war. Charlie Harrison, a young and ambitious lieutenant, reports for duty aboard the S-55, a worn-out WWI-era submarine. While the Battle of Guadalcanal rages on land, air, and sea, the captain plans a daring attack against Rabaul, the heart of Japanese power in the South Pacific. There, the hunter will become the hunted, and Charlie will discover how good he is at war. 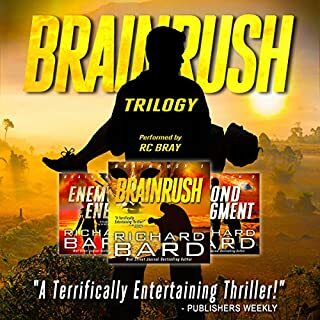 From Wall Street Journal bestselling author Richard Bard comes the next highly anticipated Brainrush thriller, a mind-gripping action adventure that spans three continents, and two books: Everlast and Ephemeral. In Amsterdam, a visionary scientist is laying the groundwork for a cybernetic life-extension project that will transfer individual consciousness to a personalized avatar. Halfway around the world, his brilliant grandson is secretly planning to use the same technology to infiltrate the world’s most secure networks. But the scientific advances necessary to perfect the brain-to-computer interface are slow in coming, too slow for the aging founder of the Everlast foundation - who may die before realizing his dream of immortality - and too slow for his ruthless grandson, who will stop at nothing to attain the recognition that is his birthright. Caught in the middle are Jake Bronson and his seven-year-old son, Alex, whose combined mental gifts might provide the key to leapfrogging the impasse. Jake’s family and closest friends have been taken by a mysterious organization with access to every surveillance system on the planet. In this exciting conclusion to the Everlast Duology, Jake must lever every scrap of his own failing brain if he is to have any chance of evading capture, rescuing his loved ones, and stopping a madman’s plans for global chaos dead in its tracks. Only complaint is it feels like I paid to finish the story that didn't end with the previous book. I don't mind buying a sequel... Did it here gladly 3 times. I don't appreciate paying two times for one book. I'll wait before buying book 6 when it comes out to see if it is going to keep happening. This is part two of the Everlast duology and follows on from book one without missing a beat. 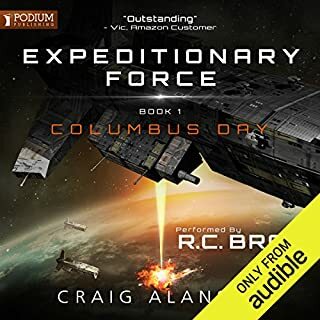 It is quite the thriller ride, fast-paced and it will have you laughing, crying, gasping, shouting at the audible app (everyone does that, right?) and even cursing both Richard Bard and R.C. Bray. Bray really did out-do himself with the range of characters and his performance was seamless. He has really made these books a joy to listen too. If you haven't listened to any of this series, I recommend starting with Brainrush and offer this advice - fasten your seatbelt and enjoy the ride. Be prepared to buy the whole series. The story is fun and engaging. Edge of your seat action all the way. The reason I didn’t give it five stars is that these short six or seven hour books should have been combined. I’m going broke finding out what happens next. It’s got me thinking seriously about how to curb my Audible addiction. What made the experience of listening to Ephemeral the most enjoyable? 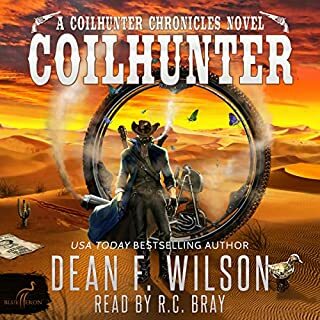 The story, the characters, the intrigue, tension, and the narrator combine to make this fifth listen in the Brainrush series just as captivating as the previous four. I could not put it down. What was one of the most memorable moments of Ephemeral? Too many to pick just one...but the ending.....cliff hanger! Very much looking forward to the next book. The release of the innocent children. 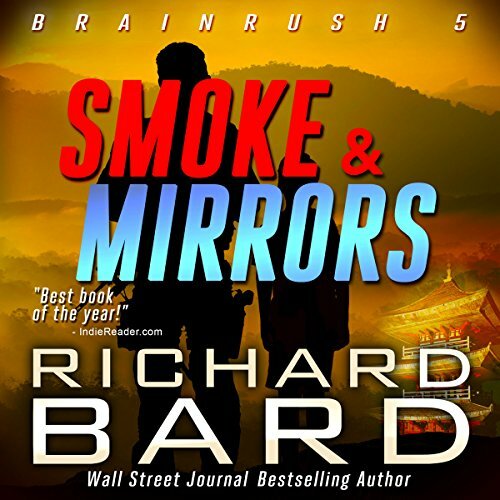 I discovered Richard Bard quite by accident...purchasing the first book in this series, Brainrush, in a sale...because it was read by a favourite narrator, R. C. Bray. I was hooked from page one and listened my way through all five in very short order. Kept my interest the entire time...great story and interesting characters! Coming up...a two book grand finale...yes please and thank you very much. Superb crafting of a story from different perspectives leaving us with a frustrating ending. Not so much a cliffhanger but a 'OhMan!' Good job Richard and RC. Do I really have to wait 6 months for book 6? I enjoy the suspense and mystery with a little superhuman or extraterrestrial entwined and look for more even after the last book. You hear me Mr. Bard! I want my mini! I enjoyed Ephemeral as much as the first trilogy. Richard Bard is an amazing writer and I can't wait for the follow up to this duology. 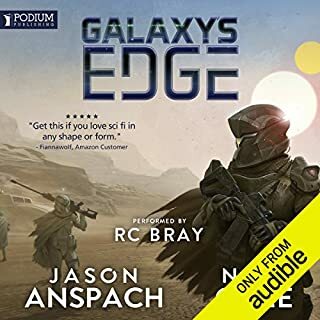 RC Bray is a fantastic narrator. If you want an exciting, edge of your seat thriller, this is it! he does it again !!! 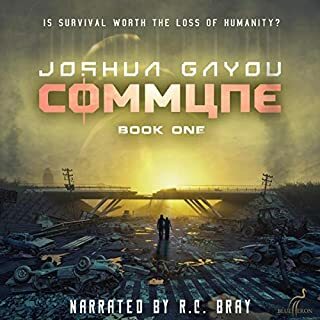 Would you consider the audio edition of Ephemeral: A Brainrush Thriller (The Everlast Duology Book 2) to be better than the print version? 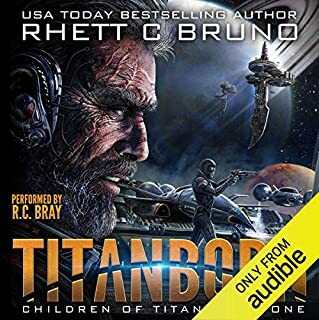 normally I listen to audio books before I go to sleep, because it calms me and stops me speculating on daily things, but this series just kept me awake , because of all the suspence. I Love this series... such a fast paced, action packed, thriller . I love, but...Too much repeating sentences. things are said over and over to remind readers. it is a short book, we remember what was said. try to develop more into how to word things.